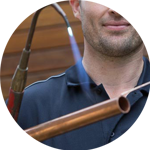 If you need a plumber in Bayswater, you have come to the right place. 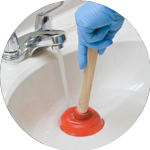 The Handy Squad have been working within the Bayswater area of London since 2005, having successfully undertaken a wide variety of plumbing jobs. Our unrivalled customer service is guaranteed from any of our highly skilled plumbers in Bayswater. 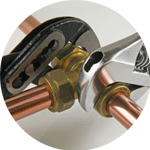 We cover a wide selection of plumbing services, ensuring any issues can be taken care of. 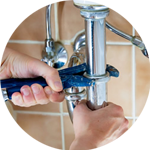 Your plumber in Bayswater will be able to help with anything related to; Replacements, Unblocking, Installations and Repairs. Our depth of knowledge and expertise is something we pride ourselves on, allowing us to provide an efficient level of service. Bayswater is located within the Royal Borough of Kensington and Chelsea in Central London. Notable former residents include ex Prime Ministers Tony Blair and Sir Winston Churchill. Plumbing is just the beginning when it comes to services available at The Handy Squad. We have our handyman in Bayswater for generalised issues as well as specialist tradesmen, such as our carpenters and electricians in Bayswater. To book either your handyman, carpenter, electrician, decorator or plumber in Battersea, fill out our online booking form.